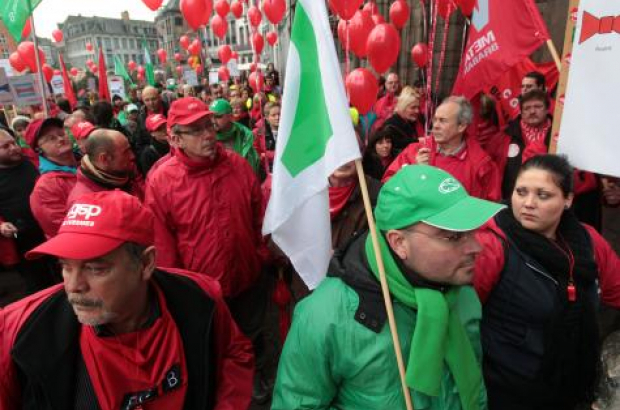 Getting around Brussels will be a bit more difficult this Wednesday because of a strike and demonstration called by most of the major trade unions against federal government pension reforms. Police are warning to expect severe traffic disruption in the city centre during the middle of the day. Between 40,000 and 60,000 people are expected to march from the Gare du Nord at 11.30 towards Gare du Midi for 14.00, passing Rogier, Botanique, Central Station, Rue des Alexiens and Boulevard Lemonnier. Brussels public transport operator Stib says the national strike will "thoroughly disrupt tram, bus and metro traffic and it will be difficult to move around the capital". It is advising passengers to check the Stib mobile app, website and Facebook page for updates. In Wallonia, disruption to the TEC bus network varies from one area to the next. Liège and Mons are likely to be the worst affected, while 85% of services will run in Walloon Brabant and almost 100% in Namur. Flemish public transport provider De Lijn is also forecasting disruption on its bus network, esepcially longer distance intercity routes. SNCB train services appear not to be hit by the strike. To the contrary, the rail operator will be running more trains than usual to ferry demonstrators to the Brussels march. Unions representing both French- and Dutch-speaking school teachers have announced an intention to strike. Some schools have opted for a half-day walkout, others a full day. A minimum level of service will remain in place at affected schools. This country has far too many 'rotten apples' stealing from the pensions, unemployment benefits, medical and sickness insurance.